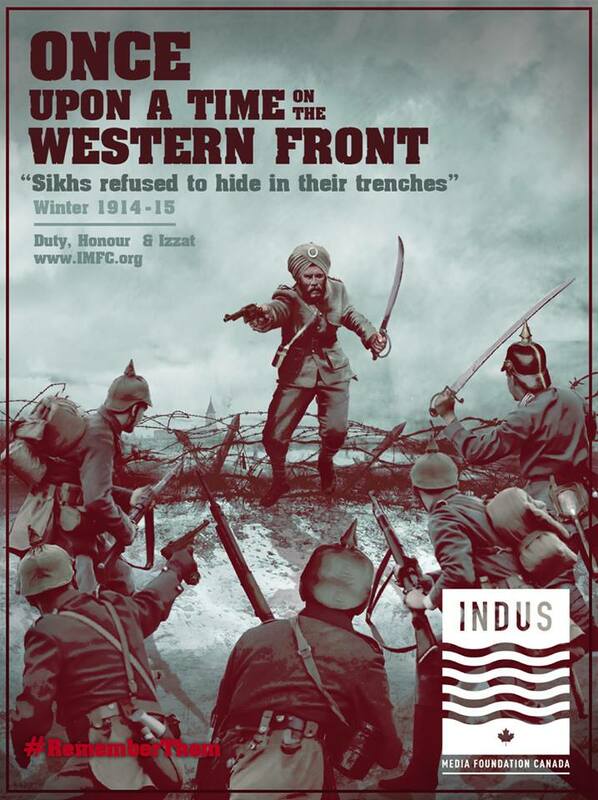 IMFC | Brave Sikhs Refused to Hide in Their Trenches – A New Year’s WW1 Fairy Tale? Brave Sikhs Refused to Hide in Their Trenches – A New Year’s WW1 Fairy Tale? “It was a curious sight to all of us, French or English, the day when the Indians arrived in a dreary little town of Northern France … Suddenly the Indian Lancers appeared, and the pavement on both sides of the street was at once filled by a crowd of soldiers and civilians watching the procession, as a London crowd will do in Whitehall on the day of the opening of Parliament. In fact, those Indians looked all like kings. The Lancers sat proudly in their saddles, with their heads upright under the Oriental crowns; then came a regiment of Sikhs, walking at a brisk pace, all big and strong men, with curled beards and the wide ‘pagri’ round the ears; the Pathans followed, carrying on their heads that queer pointed bonnet, the ‘kullah,’ which reminds one of the warriors seen on old Persian tapestries – a more slender type of men, but equally determined, and with faces at the same time smiling and resolute. Those that know the ‪#‎Sikhs‬ would not doubt the veracity of such an eye-witness account. Men from the ‪#‎Punjab‬ comprised the majority of the Indian Expeditionary Force that landed in France in 1914. ‪#‎Punjabis‬ had fought courageously against the British during the Anglo-Sikh Wars. In a series of battles spanning the years 1846 -1849 the Sikhs had faced a greater number of guns than Wellington had at Waterloo and had not succumbed to British rule – Punjab stood alone as the last sovereign kingdom of India. The Sikhs had employed Napoleon’s own generals to fight fire with fire- both sides fought to a standstill bringing the British Indian Empire to the brink of disaster. To avert this, the British induced treachery amongst the Hindu Punjabi generals of the Sikh army and wrestled victory from the jaws of defeat. The British, magnanimous in their victory, welcomed the stoic Sikhs into their fold – Punjabi and European had stared each other in the eye and had tested each other’s mettle. Thus when the storied battlefields of Europe beckoned the Punjabis, knowing they could stand toe to toe with the mightiest Europeans, they would once again vie for glory in upholding the Izzat (honour) of their race. Awarded for conspicuous gallantry in France. The 58th Rifles landed in Marseilles on 11th October 1914.On October 31st as they rushed the German trenches the enemy bolted and the few who stood their ground fell before the bayonets of the regiment. On the 24th at the Battle of Festubert, Indar Singh held the position against heavy enemy attacks, for which he was awarded an immediate Indian Order of Merit. On December 18th very heavy fighting ensued, but the 58th more than held its own and succeeding in regaining portions of the lost trenches and preventing any breakthrough by the enemy. The last tour of duty of the 58th in the trenches in France ended on October 29th.Many Sikh soldiers were awarded for their conspicuous gallantry. Awarded for gallantry in Neuve Chapelle in France, on France on October 28th 1914.He gallantly held on to his portion of trench under very heavy rifle and artillery fire, when the remainder of the Company had been killed. It was mainly due to Subedar Major Bure Singh’s fine example that the portion of the line entrusted to him remained intact. On the 28th October.For conspicuous gallantry in the attack on Neuve Chapelle, when by standing beside Lieut Rait-Kerr, who was wounded, he kept the enemy off by his fire and thus permitted that officer’s safe removal. Lest we forget – we today, 100 years later, salute these Indian soldiers of the King who gave their tomorrows for our today.